Desk by Luciano Frigerio Norman African Walnut Veneer Vint. 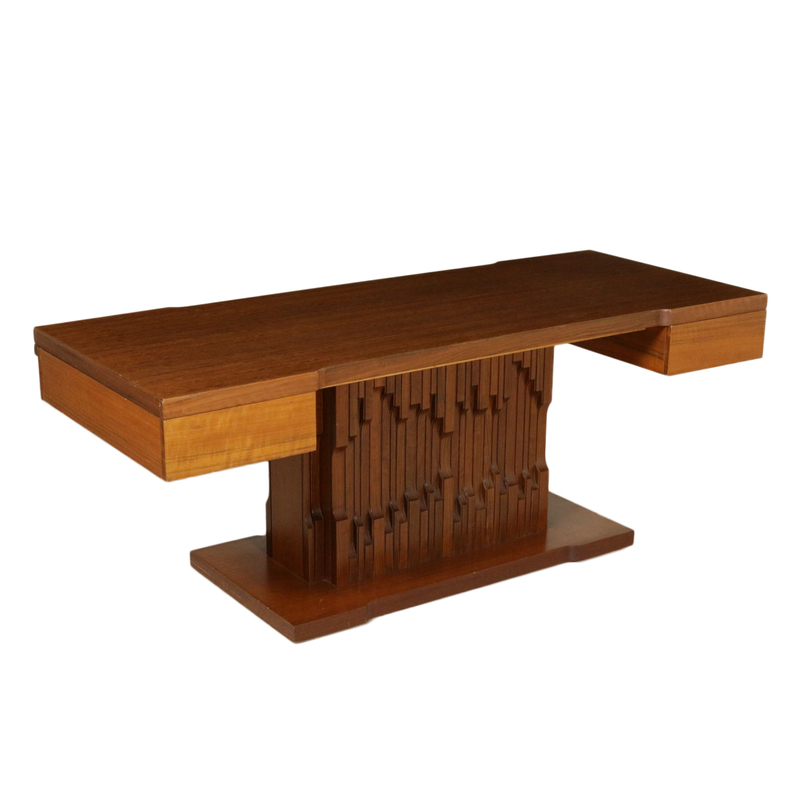 A desk with lateral drawers designed by Luciano Frigerio (1928-1999) for Frigerio, solid wood, African walnut veneer. Model: Norman. Manufactured in Desio, Italy, 1970s.